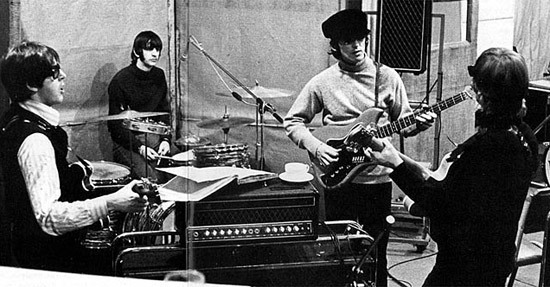 The Beatles' "Rain" was the B-side for their hit single "Paperback Writer," but never appeared on any original Beatles albums until this year's January remaster release of Hey Jude. As a result, only unofficial guitar transcriptions have existed—until now. We're excited to bring you the first, officially licensed guitar tab to "Rain," along with some intriguing back story on the recording and the transcription, from Hal Leonard's senior guitar editor, Jim Schustedt. 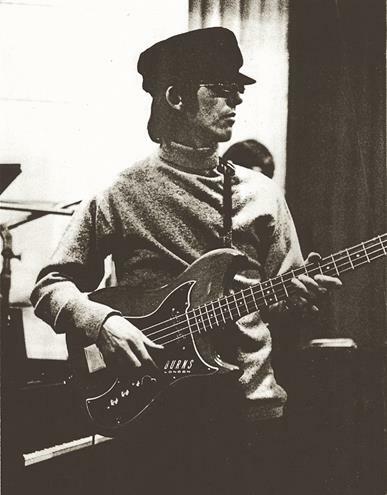 "Our research indicated that for the basic rhythm track, George Harrison played a Burns Nu-Sonic bass, and Paul McCartney is playing guitar," says Schustedt. "Furthermore, they recorded that rhythm track in the key of A, but in an effort to fatten the sound, they slowed the tape down, resulting in the track sounding in the key of G. They then recorded the vocals and Paul's signature bass line in G and mixed it with the slower playback. "During the promo videos [see below] they filmed for the song," Schustedt continues, "they're clearly playing the song in G, but with George strumming barre chords—which are not on the audio. Also note that no one is playing the arpeggiated riff." Official Beatles guitar tab for "Rain"
Interestingly, the photos below were taken during the "Paperback Writer/Rain" sessions and show the only known appearances of Harrison using the Burns Nu-Sonic and Lennon using an orange Gretsch 6120. After the session, the instruments were never seen again. For more info on the gear the Beatles used throughout their career, be sure to check out Andy Babiuk's excellent Beatles Gear (Backbeat Books).